The simple instructions for including images are in the BBCode FAQ available by clicking the 'BBCode' link next to the text box when composing a new message (under the 'Options' heading), or click this link: BBCode FAQ. Upload your image file to a web server somewhere and note the uploaded image file's URL. NB: This is the URL of the image itself (ending in something like ".jpeg", ".tiff", ".png", etc), NOT the URL of a web page that includes the image. (replacing 'URL' with the actual internet URL of your image file). Including images from some image web hosting services is not so easy, as some of them require you to use special URLs to do so, and others may not allow their images to be embedded in external pages at all. For Flickr you can use the URLs generated by Linkr (dead link - may no longer be available?). Right-click on the image. A popup menu appears. Right-click on the size you want to link (pref. 640 pixels), and "Open in new tab". Finally, right-click on that image and "Copy image URL". Please post in this topic if you have any other tips for posting images hosted on other web sites, particularly for images from other such photo sharing services. NB: There are forum rules governing posting of images including a 800 pixel size limit even in this Gallery forum. Please familiarise yourself with all the rules before posting: FORUM RULES. Note that copyright laws mean that you should have permission from the owner of a picture before using in this way. I don't use Flickr but having a quick look, it appears to me that using Flickr images in the forums should be quite simple without using Linkr. Just go to the Flickr image you want to use (eg, AFTER clicking on the thumbnail), then view the image alone in your browser (how to do this depends on your browser), eg, right click -> 'View Image'. Note that you can remove the 'farm2.' from the URL (which is what Linkr does) and it still works fine. NB: If you wish to embed your Flickr images manually like this, you will also need to link to Flickr if you wish to abide by Flickr's rules. It may be easier to just use Linkr instead. I updated Flickr instructions in the post above. Hopefully this post will help anyone who is trying to upload a picture from Picassa. I discovered today that all (most of) "My Hiking Blog" photos are actually hosted on Picasa , even though I use Blogger as the platform for the blog. I will try and explain this in "simple" steps. 3) In the "Link to this photo section " find the heading saying "HTML to embed in website". 5) Copy the computer code on the section below the "HTML to embed in website"
Just embeding this in the forum WON'T WORK. 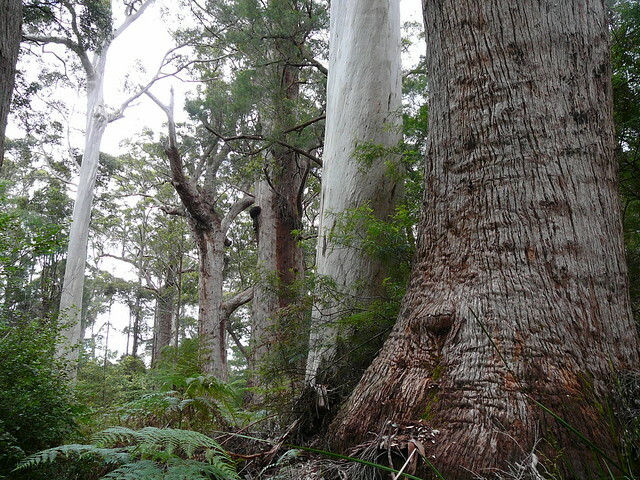 6) Open Bushwalk Tasmania forum in a new window and create the post where you want the picture to appear. 7) Click on the "Img" icon in the forum post section to add the correct "tags"
12) In the code you will notice a part that says: /s800/ . This is the SIZE the picture will be displayed on the forum. 2) Right click on picture and select "Properties"
There's some useful info HERE too. How to post more than one photo? I think I've finally got the knack of posting photos. I just don't know how to post more than one in the same post? I can't seem to get the attachment button to come back after the first? Re: How to post more than one photo? Best to use an image hosting service for your photos eg. Photobucket.com. Then use the img tags in your post like the way shown below. On Photobucket's web site, you'll be able to copy the URL location of your chosen photos, copy and paste follows. Ah er I don't mean to be smart but could I have that again in English. I only ever use buckets for carrying water? Photobucket is a web site, just like this forum. They specialises in hosting digital photos and can be shared directly to others or as links on web forums. Click the following link and you'll see. It's far easier to see than instruct by text when you are not familiar with some of the basics. Try this Youtube video. Yes, the 'upload attatchment' button should be available after you have uploaded the first one, sure it's not just being pushed down off the page? you should be able to just keep uploading separately and then place them in line (I think it's 5 images per post). This is probably the easiest option to begin with. Recent topic merged with this one as it also contains all the answers. kanangra wrote: I think I've finally got the knack of posting photos. I just don't know how to post more than one in the same post? I can't seem to get the attachment button to come back after the first?